Regardless of the number of renal homes that you own, maintenance is of utmost importance. A number of issues can come up in rental homes, which need to be addressed on time. These may be related to the plumbing fixtures, electrical appliances, furnishings etc. In order to retain tenancy and ensure a constant income, you need to provide a satisfactory rental experience to your tenants while adequately complying with the legalities involved with maintenance responsibilities. Be Prepared: Before deciding to rent out your property, you must understand that it may bring along additional maintenance expenses. However, the approximate cost would vary depending upon the age and present condition of the home. You should also be prepared to bear the repair overheads to prepare a vacant property for future tenants. Know The Legalities: In each state, there are certain laws determining the maintenance responsibilities that a landlord needs to fulfil. It is important that you make yourself familiar with the building codes and housing laws to avoid any hassles in the future. You must ensure that you understand your liabilities towards handling property related issues, conforming to safety norms and maintaining constant communication with the tenants. Get Everything In Writing: When formulating the lease agreement, make sure it states all the terms and conditions related to property maintenance. It should clearly mention the responsibilities of both landlord and the tenant. You should also give details regarding whom the tenant should contact in case any emergency repair work needed in the house. Ensure Tenant Satisfaction: Being a landlord, you are legally responsible to provide a safe place for your tenants to live in. The rental home should have a solid foundation, properly working appliances, secure electrical system and be free of pests. In case the tenant reports a problem, it must be addressed as soon as possible to ensure tenant satisfaction. If you do not handle repair requests quickly, your tenants may plan to end the lease, costing you additional costs in terms of longer vacancy periods. We, at Lone Star Realty & Property Management, Inc., can help you maintain your rental property and in turn retain tenants for a longer duration. For more information, you can call us at (254) 699 – 7003 or visit our office at 1020 W Jasper Dr, Killeen, TX 76542. Buying a house is a challenging and daunting task for most people. As it is a substantial financial investment, one needs to take the decision after doing proper research. Visit the house at different times of day: This will assist in ensuring that the house is suitable and compatible to your needs at all times. The house should receive natural light throughout the day and not have a noisy neighborhood. Visiting the house will also give you the chance of checking the traffic level at different hours of the day. Proximity: You must also consider the proximity of the house to areas of interest such as a school, park, shopping area, public transport or your office. This will help save time and money in transportation costs. Check out the crime graph: Before you invest in a house in a particular area, check out the crime graph of the area. You can look through the recent newspaper for news such as cases of theft, robbery or snatching in the area. You should make sure that the area is safe and secure for your family. Talk to the neighbors: It is essential to know about the neighborhood before you buy a house. If possible, meet a few neighbors and discuss the positives and negatives of the area. You can also visit the neighborhood association that works for the welfare of the community. Get home inspection: To ensure that you a hassle free home you should get the house thoroughly inspected. You should consider hiring a professional home inspector who can help you identify any issues in the home. You should assess what needs maintenance or repair and discuss this with the property owner. You can negotiate for a lower price on the house and prepare for costs that you will incur or ask the property owner to make the repairs. You should also get inspections for pest infestation, lead paint, radon, etc. Ask for utility bills and recent tax bills: To estimate how much you will have to spend every month for electricity, water and other utilities, you can ask the homeowner to provide you some of the previous bills. In certain areas, the property taxes increase more frequently and you should be considering these costs while making your decision. 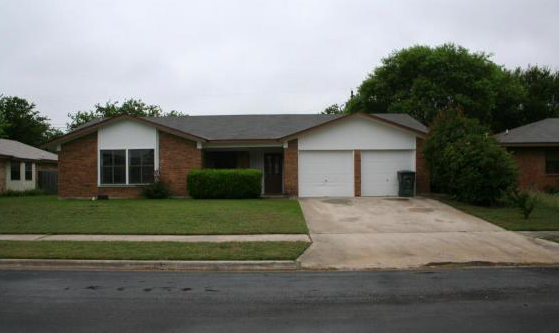 You need to consider many important factors when purchasing a home in Killeen. You must ensure that you do proper research and make the right investment. For more information, visit Lone Star Realty & Property Management, Inc., at 1020 W Jasper Dr, Killeen, TX 76542. You can also call us at (254) 699 – 7003. Check The Plumbing: While buying an old home it is crucial to thoroughly inspect the plumbing, as even the finest plumbing starts showing signs of deterioration after a few decades. You should also check for any visible signs of corrosion and leakages. Make sure you check the water pressure and ensure that the house does not require re-piping. You must consider hiring a professional plumber to inspect the plumbing so that you can avoid spending a lot of money to repair the plumbing. Check The Roof: Older roofs often start showing signs of distress, so inspect the roof and identify any existing problems. Check for weather damage, holes and layers of singles to make sure that the roof is safe. Even check the beams for damages or any evidences of fire damages. If there are signs of water damage in house, it is an indication of roof problems. You may need to repair any sagging roof and check the downspouts for any clogging and gutters for smooth water runoff. Check The Electrical Wiring: Inspect the electrical system and check all the outlets for fire damage. Check the wiring for any damages and if there is fuse system in the house, you may need to upgrade the system to more advanced system. Ensure that the electrical system is compatible to the latest appliances and it is safe. Check The Foundation: Look for any cracks in the walls, as they are signs of trouble with the foundation. Check for water damage on the walls, ceilings and floors, indicated by a crack. Large cracks in the foundations make the house weak and susceptible to damages during harsh weather. Look For Termite Infestation: Old houses made of wood often are infested with termite and other pests. You must thoroughly check the wood for any signs of damage to avoid spending money on the replacement. You may also need to hire an exterminator to protect the house in future. It is recommended that one hire a home inspector before agreeing to purchase an old house to ensure a hassle free living. 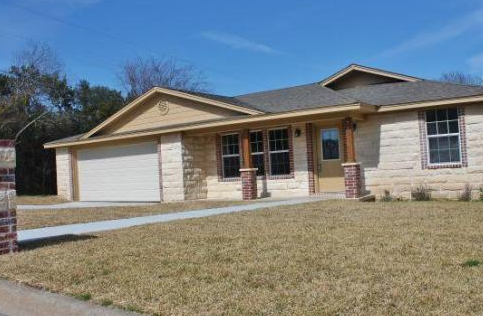 We, at Lone Star Realty & Property Management, Inc., provide assistance to all our customets in finding the perfect rental home in Killeen, TX. For more information, you can call us at (254) 699 – 7003.